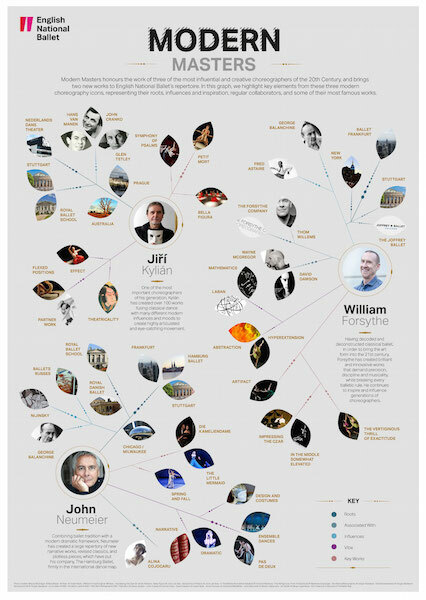 We worked with ENB to create a family tree highlighting key elements from three modern choreography icons – William Forsythe, John Neumeier and Jiří Kylián - representing roots, influences and inspiration, regular collaborators, and seminal works. 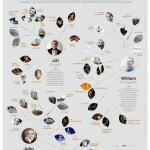 This family tree was produced in two different formats: an interactive version (portrait) used for the company’s blog, plus a landscape alternative which was printed in the Modern Masters programmes. 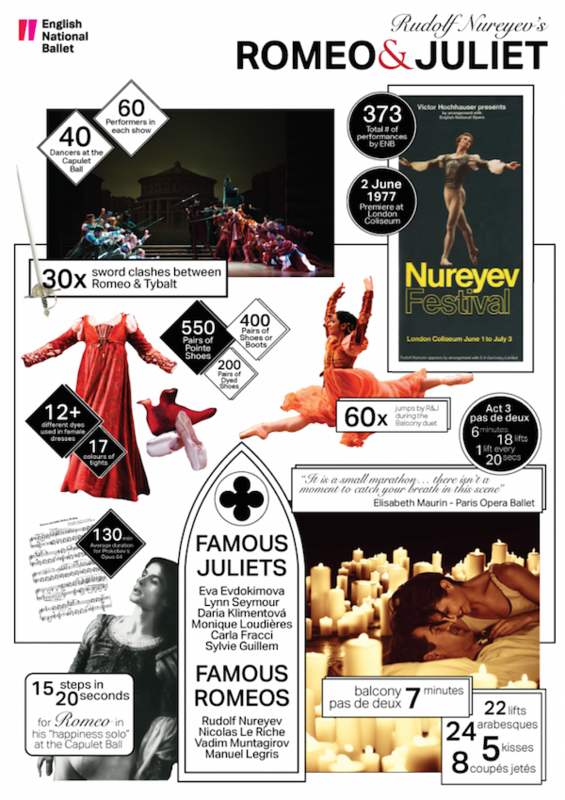 In addition, to highlight Nurevev’s version of Romeo & Juliet, we created an infographic full of facts and insights about the production, which was also delivered in two different versions (portrait and landscape). 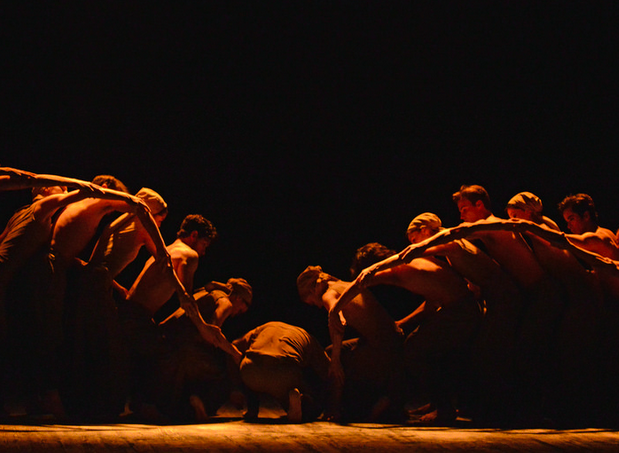 We were asked by English National Ballet to take over the company’s social media channels (Twitter, Facebook, Instagram) to report on an evening of world premieres at the Barbican Centre, Lest We Forget. Our assignment included reporting on the preparations backstage, interviewing dancers and creatives, and blogging about the event. 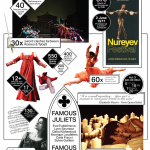 This was all relayed live to the 20,000+ Twitter followers of @enballet. We also wrote a complementary blog post storifying the evening, illustrated with exclusive pictures we had taken during the evening. More recently, we also took over the company’s social media channels to relay the Emerging Dancer competition, sharing backstage pictures, interviewing the candidates and blogging about the event. As part of English National Ballet’s Dance is the Word initiative, we have led “Dance & Social Media” masterclasses in 2014 and 2015, providing professional guidance for participants wishing to develop their editorial, blogging and digital content skills. 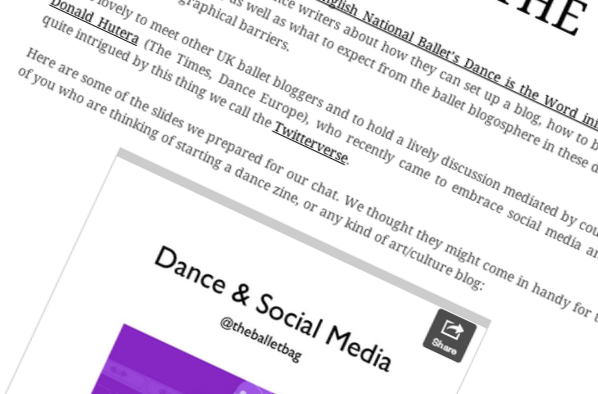 During this afternoon-long masterclass, we show dance bloggers and journalists how to set up a blog, boost their social media presence, as well as what to expect from the ballet blogosphere in these days of broken-down geographical barriers. An abridged version of our presentation can be accessed here.